There’s nothing better than having a newly decorated room, exactly to your taste that you can feel totally at home in. Pro Paint can help you transform the aesthetic of any room with the simplest touch or through a complete renovation with our quality services. Here we will look further into exactly why you should choose Pro Paint for your next decorating project. When you think of hiring a professional, the last thing you think of is it being cost effective…but, all costs considered, it really doesn’t amount to much more than doing yourself if you don’t already have the necessary equipment. When you purchase cheap equipment, it often shows in the final finish with fluff from the roller dispersing onto your walls or harsh lines from your brushes. For this reason trying to save money on the necessities is a bit of false economy. A professional will know what paints will be able to withstand the test of time and save you money in the long. A qualified painting and decorating company like ours has years of experience which allows us to know just what will and won’t work in your room. Various shades of paint work differently in different rooms for many reasons; natural light, room shape and even the orientation of your windows. Just how dark shade clothes are meant to make your body look slimmer, darker colours can also make your room feel more enclosed, whilst lighter shades can make your room feel bigger. 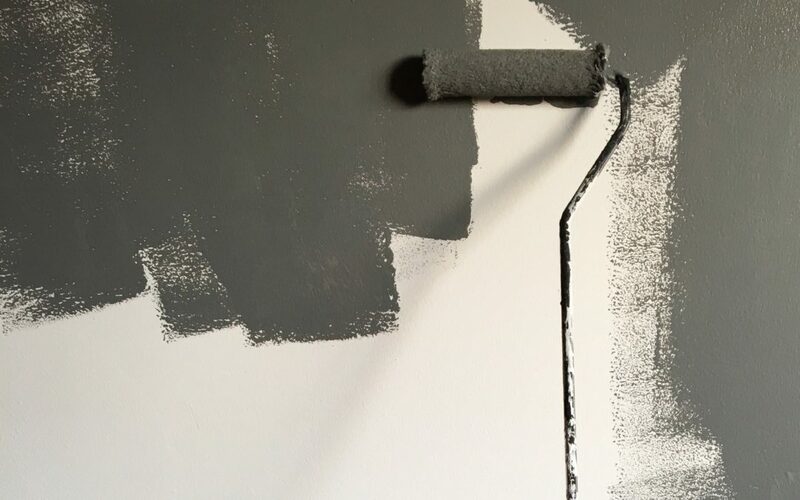 When it comes to tricky paint work, we will have the experience to be able to manage wall stains, misshapen corners or even skirting boards correctly. When you’re paying an experienced professional, such as Pro Paint, you can expect a better quality of finish from using the right paint, mixing correctly and using the right equipment. They will know what primer to use, and how many coats will be needed to achieve a flawless final product. Our professional team will be very used to working at height and have all the necessary equipment to work safely. What’s more, he or she will be insured so that should there be any accidents to themselves or your home, a means for compensation will be in place. Having someone do your paintwork for you can be a completely stress-free process. Each day you will see progress take place with your room becoming ever more like the final desired product. The painter will be liable to make any necessary corrections to any errors. Pro Paint are a company made up of experienced painters and decorators who deliver quality results time and time again. Since we were established in 1987, the company has gone from strength to strength with an ever growing client base and strong relationships. We have completed internal and external work in a variety of areas, from domestic properties through to large multinational contracts locally, nationally and internationally. Contact us today to discuss your decorating project.